Okay, it’s a funny little five minute parody of House of Thrones. But it looks to me as if SUSE has thrown down the gauntlet and is challenging Red Hat…or a bunch of medieval guys wearing red hats…to who knows what. Are the gals and guys in Germany growing a little tired of being the perennial second fiddle — or now third fiddle now that Ubuntu is in server rooms everywhere, especially in Amazon’s cloud. According to this, SUSE is ready to ascend to the royal throne and take a seat at the right hand of Jim Zemlin. And while watching this, I was prepared to believe that they can do it and that that the Fedora company’s days are numbered. As soon as the video ended, however, I was returned to the real world where making a really cool video is something completely different from developing, maintaining, and marketing a complete enterprise solutions stack. I’ve got to give it to them, though. They dream big. And vividly. May their dreams come through. Looks like the video has been removed…. I didn’t get a chance to see the video, but Red Hat, Canonical, and SUSE are all playing toady to Microsoft these days. Meanwhile Microsoft pretends it has changed its evil ways while still fighting against freedom on every front. I also did not view the video. 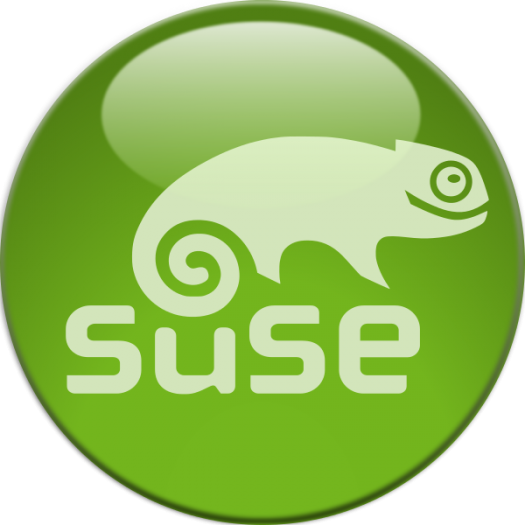 However, as a very long time user – to every level of business and professional technology of Suse Linux, and to a slightly less level with CentOS/RedHat, both Operating Systems (OS) ecosystems are excellent choices, along with Ubuntu over any iteration or version of Microsoft OS, and more importantly have proven, unequivocally to be more robust, scaleable, flexible, significantly more secure, and better value/Return on Investment (ROI). Meanwhile Microsoft is attempting to persuade (mainly) USA corporations and institutions that their wares – albeit with Linux integrated infrastructure, are better choice than pure Linux stack, with some success. In the end, a convoluted Windows – with tacked on Linux solution will fail, and miserably, particularly in reliability and ultimate Security , and their customers and the American economy will pay the ultimate price, just as it has for Windows based Wannacry, Petya Ransomeware vulnerabilities and all the hacks, against HomeDepot, TJ max and every other security calamity of past ten years, including rogue stuxnet virus resulting in hundreds of billions of dollars of losses to US economy. Microsoft will sink the USA, from taevere technological weakness standpoint. Saw the video before it came down. Probably the worst video they’ve done – it just wasn’t funny and makes them seem jealous of RedHat. I certainly hope you are right, because what Microsoft appear to be attempting is Embrace, Extend, Extinguish, by integrating as much Linux functionality into Windows as they can. But that’s what I assumed would be their tactic when they became platinum members of the Linux Foundation. I’m going to do my part by suing Equifax to the limit I’m capable. and I suggest everyone do this, not for any monetary reward (it will be negligible), but to send a message to ALL entities which depend on Microsoft and Windows for MY security and safety. @robtsvc I don’t think you can blame Microsoft for an unpatched vulnerability in Apache Struts. The one and only thing that will stop these massive data breaches is holding the data-hoarding companies both legally and financially responsible. Every breach should make that company ENTIRELY responsible for the use/misuse of every piece of information stolen. I’ve never seen a company willing to do what is truly necessary to protect that kind of data. Most fail at even basic security, even as they pretend to act responsibly. No need to respond, we all know where your sympathies lie. @robtsvc Yeah, a typical Windows apologist; that’s me. @robtsvc Uh, Thad’s right. Apache Struts is an open source project developed by the Apache Foundation. The patch was issued long before the breach and Equifax failed to apply. This has absolutely nothing to do with Microsoft. Microsoft does enough. We don’t need to blame them for things they haven’t done.